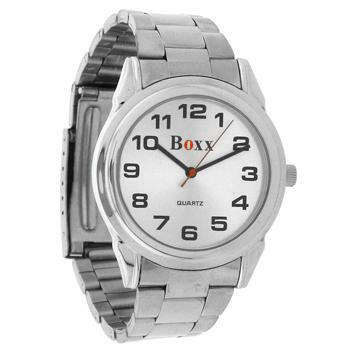 Quality Gents Watch from the Boxx collection. 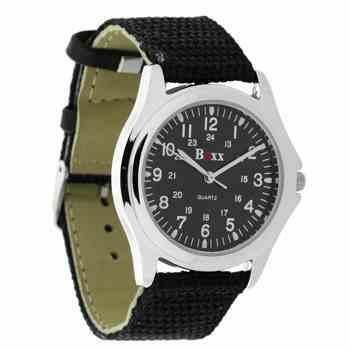 With a satin finish silver tone base metal with a robust and reliable matching bracelet strap. Clear silver face with black hour markers and hands. 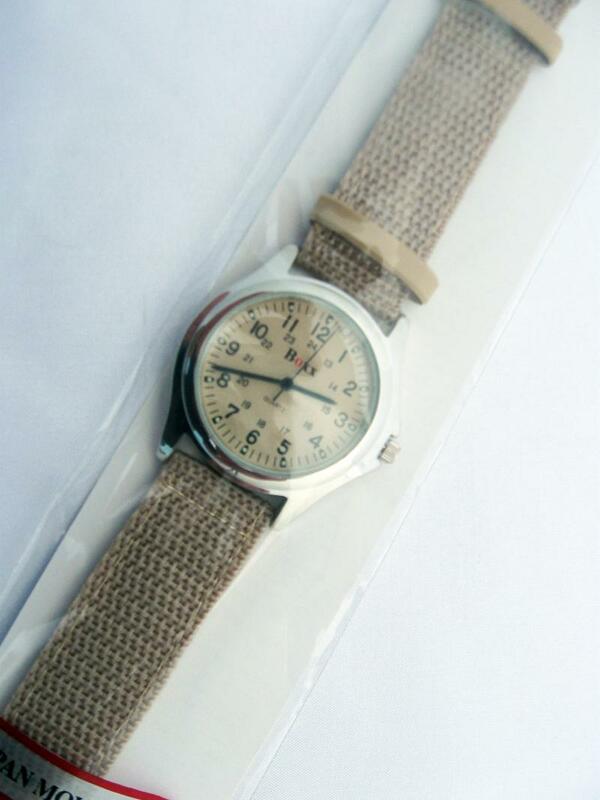 High quality Japanese quartz movement. The face measures 40.0mm in diameter including the winder. 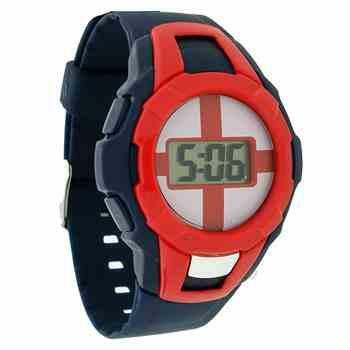 The watch has a stainless steel back and is nickel compliant.